It is vitally important to track the conversion rate of all your PPC campaigns, considering that the conversion rate is the primary reason for PPC campaigns existing – everything a PPC campaign does is to get a conversion. For this reason, improving the conversion rate of PPC campaigns will help improve your effectiveness of your PPC campaign, as well as reduce your return on investment (ROI) for it too. 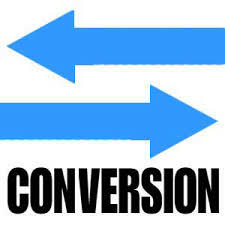 Here are some ways you can go about improving your PPC campaign’s conversion rate. One way to increase your campaign’s conversion rate is by continually perform A/B tests on it, changing one variable at a time. From doing this, you can see how much of a difference the variable you changed has to the conversion rate your campaign achieves. As much as you can take note of advice from websites online about how to improve your conversion rate, the simply truth of the matter is that not all tips will always work with every campaign – A/B testing is one way of finding out exactly what works for your happen and what does not. An area which is often not thought about much is how well your PPC advert links to the landing page. After all, the main objective of an advert is to get the attention and interest of the web user, for which the landing page will continue in further detail once the web user lands on it. If there is a lack of clarity between your advert and your landing page, the web user will become confused as to what the overall message is from your campaign and, potentially, what you want the web user to do: convert. Call to actions (CTA) are a brilliant way to get the web user to do exactly what you want without taking up too much space or content. Without call to actions, it can be difficult for the web user to know what they should do for your advert and landing page. For this reason, it is a good idea to include 1-2 call to actions in both your search advert and your landing page that relate to what you want the web user to do. For example, for the search advert, the call to actions should be around getting the web user to click onto the advert, whilst the landing page’s CTAs should be aimed at getting the web user to convert, however that should be for your specific landing page. If you was to take something away from this article, though, it would be to A/B test. Without testing, you never know what areas you could optimize to further improve the performance of your advert as a whole. SEO Software Survey – Who Uses What?